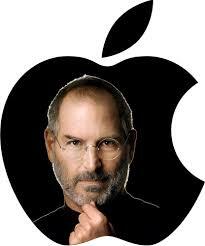 Steve Jobs (1955-2011) is the founder of the Apple Company and the Pixar Film and the ex-CEO of Apple Inc. He died of pancreas cancer in 2011. He was born on February 24, 1955, the son of Abdulfattah Jandali and Joanne Schieble. His biological parents were both graduate students then and unmarried when they had Steve Jobs. His mother put him for adoption because her conservative parents did not let her married Steve Job’s father, a Syria immigrant. His adoptive parents Paul and Clara Jobs adopted him with the condition of letting her go to the college. His adoptive father is a machinist, rebuilding cars for sale. He did not graduate from high school but is a very handy man. His adoptive mother was an accountant. There is little information about his relationship with his parents and his early childhood, especially his relationship with his mother, which is almost none. They lived in San Francisco and moved to Mountain View, it is famous with the name of Silicon Valley Later on. There are many engineers in the neighborhood that they lived. At thirteen years old, Steve Jobs participated in the Hewlett-Packard Explorer Club. He called HP for the parts that they needed, and it led him a summer jo. At thirteen years old, he also realized that he is smarter than his daddy. His parents kept their promise of letting him go to the college. He attended the Reed College, but he dropped out of school in the second year because he felt bored at school. After that, he stayed on the campus for a while to attend the designing classes as an auditor and slept on his friend's couch for a while. Then he went to India for spiritual enlightenment with his college friend Dan Kottke and stayed in India about one to three months. He returned to the US as a Buddhist. At twenty-one years old, his friend Steve Wozniak built the Apple I computer, which can be hooked up to the television and people can see whatever that they let the computer do on the TV screen. Having the sharp business instincts, he felt that Wozniak had made something extraordinary and unique. He managed to sigh the 50 computer orders with the Byte Shop in the Silicon Valley. In 1976, Apple Computer Inc. was incorporated by Steve Jobs and his friends Steve Wozniak and Ron Wayne. Apple I computer was assembled in the garage of the Jobs' house in the same year. In 1977, Apple got the investment from Mike Markkula and his former colleague Mike Scott was hired to be the CEO. Apple II was invented in the same year and made a huge sensation. In 19, the Apple company went public land Steve Jobs was only twenty-five years old. In 1983, Steve Jobs hired John Sculley as the CEO of Apple. He had wooed Sculley for a few month begging him to leave Pepsi to lead Apple and be his business mentor. However, in 1985, the Apple's board sided with Sculley to strip off all Steve Jobs' executive duties. He was forced to leave Apple. Sad and angry for a while, he get himself up and founded the NEXT and Pixar Film and did pretty well. His mother Clara Jobs died in 1986. Again, how Steve Jobs responded to his mother 's death was not clear to us. What interesting is that he started to look for his biological mother after Clara Jobs' death and found his biological mother in several months. He discovered that his biological parents did get married and he has a younger sister Mona, who is a successful novelist. However, his biological father left his biological mother and sister when his sister was five years old. Steve Jobs said that he forgave his parent's decision of putting him for adoption because they had no choice, and he did have a good childhood. However, he could not forgive his father's abandonment of Mona. Steve Jobs kept relationships with his biological mother and sister, and he became very close to his sister because he found they were strikingly similar. "They were both intense in their artistry, observant of their surroundings, and sensitive yet strong-willed (Isaacson, 2011, pp 255)." However, he refused to reconnect with his father (also a successful businessman) even though they were both in the Silicon Valley. Regarding his personal life, he kept the relationship with his girlfriend Chrisann Brennan from high school for many years. She was also the earliest employee of Apple Company. However, after Chrisann found she was pregnant with their daughter Lisa, he broke up with her and denied that Lisa is his daughter. Even though the DNA test was positive his daughter, he still said that there is the slight chance that he is not the father for the test results did not say 100% positive and refused to support their life. Only years later, he started to become remorseful about what he did with Chrisann and Lisa and accepted Lisa as his daughter allowing her to move into his house (he had married then) when Lisa was a teenager already and got some adolescent problems at school. He even named one of his computer projects as Lisa, which was not a successful project eventually. Even though Lisa distanced herself from him later on, they kept the relationship, and Lisa visited him and kept him accompany at the end of his life. After a few intense romantical relationships, he met his wife Laurene Powell in the Stanford Business School when he was giving his "View from the Top" lecture there. Laurene is not the woman he loved the most; she is definitely the one who has the highest EQ who can live with Steve Jobs who has the very difficult personality--intense, perfectionistic, and intermittent temper explosive. They have three children: a son and two daughters. His career is eventful as well. He founded the Apple Company, but he was expelled from the very company that he founded in 1985. After leaving Apple, he founded other two companies, a computer company called NEXT that was merged to Apple when Steve Jobs was invited by the board of directors to take the CEO position of Apple in 1996, and the Pixar Company that had become very successful as well. Steve Jobs is a very creative person with excellent business instincts, an enthusiastic entrepreneur, and a controversial business leader who is not flexible in terms of rules, he could be very mean to his employees and could have temper tantrum sometimes. His biography author describes him having "reality distortion," sometimes delusional (Isaacson, 2011). All his characteristics, good or bad, are directly or indirectly related to the births of all the excellent/creative/very popular products, name some: iMac, iPod, iBook, and iPhone. In the fall of 2003, Steve Jobs was diagnosed with Pancreatic cancer. He rejected the doctor’s suggestion of surgically remove cancer and stubbornly insisted on trying the diet therapy. When the diet therapy failed, he finally agreed to have the tumor surgically removed in 2004. Because the delay of removing the tumor, the surgery did not stop cancer from metastasis. His health gradually deteriorated, and the liver transplant in 2009 did not extend his life too long. He died of cancer in 2011 shortly after unveiling iCloud service. 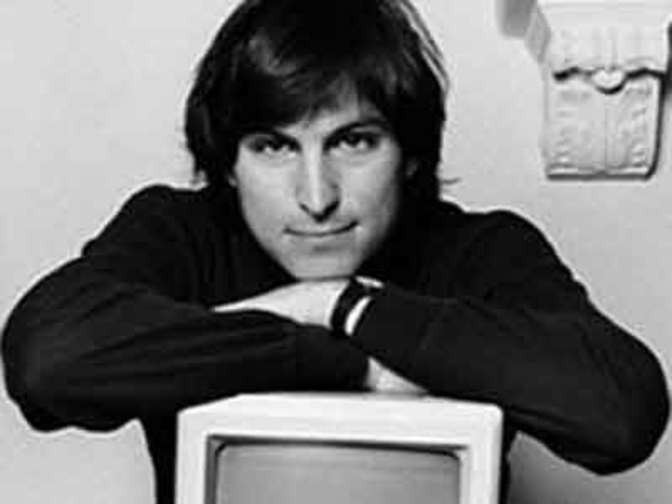 As rest of us, Steve Jobs’s life was influenced by his nature, the genetic hereditary, and the nurturing environment. Nature refers the hereditary information that we received from our parents, which was decided by the moment of conception. Nurture refers how the physical, social, and psychological environment influence our biological makeup before and after our birth (Berk, 2014). Lifespan development holds the balanced view regarding nature and nurture (Berk, 2014). Both of his biological parents are high-educated. They both survived the intense graduate study, and his biological father has a PhD degree in political science and was a professor before giving up teaching career and becoming a businessman. He is indeed a very successful businessman even though he is not as famous as Steve Jobs. Steve Jobs realized that he is smarter than his adoptive parents at age thirteen, his high intelligence is more likely inherit from his academic biological parents than the environmental nurturing. His business smart may also have the root in his biological father's blood in terms of personality traits and intelligent judgments. When Steve Jobs met his biological sister, he immediately found the similarities between two of them, the artistry intensity and personality, which he could not find in his adoptive family. They both are creative and innovative, Steve as an innovative business leader and Mona, a novel writer. The nurture factors, namely the physical, family, and social-cultural environments also contribute to how Steve Jobs became what he is. He grew up in a stable middle-class family. His parents are warm people and made him feel special. His father is a mechanist and rebuild cars for sale and took Steve to looks for parts when Steve was a child. As a child, he had his daddy to look up to. He grew up in the Silicon Valley, among the kids of Silicon Valley engineers. His school was technology oriented; he participated the HP Explorer Club at thirteen years old and got a summer job at age 13. It seems natural for the bright Silicon Valley kids with kinds of friends like Steve Wozniak to became somebody in the IT field. Nurture factors affect people throughout the life span; Steve Jobs continues affected by other people and his experience. He learned a lot about how to run a company from John Sculley, and his experience of being expelled from Apple affected him emotionally (sadness), cognitively, and behaviorally; he changed the board after returning to Apple. His India spiritual enlightenment experience affected his cognition of disease and his decision of how to treat his pancreatic cancer (part of his cognition distortion). Again, we do not have much information about Steve Jobs’ childhood; I think that his biography author focuses on Steve’s role as a business leader, not as a whole person. From the available information, we know that Steve Jobs thinks that he had a happy childhood and his adoptive parents did a pretty good job. He realized that he is a smart kid, smarter than his adoptive parents at age 13 and actively participated in the school HP explorer club and had his peer friends. I think that he completed his development goal of latency and had the sense of competence then. Then he went on to take the summer job in the HP company, attended college, founded the Apple company in his early twenties, led the company to go public at twenty-five years old, played the role of director in Apple for many years, founded NEXT and Pixar after being expelled from Apple, came back to Apple in 1997 as CEO, and launched iPod, iBook, iPhone, and iCloud before dying. He well developed the fidelity and knew his identity and position in the world. In his personal life, his relationship with his ex-girlfriend Chrisann Brennan in high school and several other ex-girlfriends in his adulthood, and his marriage with Laurene Powell showed that he identified himself as a heterosexual man and had reached the development goal of love and care as well. Steve Jobs died at age 56. Therefore, we would never know how his eighth (and ninth stage) stage would be (Erikson & Erikson,1998). However, I think that he had developed wisdom about work, love, and life, especially he reflected a lot at the end of his life while battling with his cancer (Isaacson, 2011). We might be able to predict that he would be a man with wisdom, at least he would not be the very despair one due to his success and wealth if he could live a long life. It is a pity when we talk about a person’s psychosocial development without knowing his early life. As a psychodynamic psychotherapist, I often think about how his early life affected him lifelong. He was adopted at birth, abandoned by his biological parents (no matter for whatever reasons). Psychoanalysis calls it as a narcissistic injury. Jobs is narcissistic as well as a perfectionist. His pursuing of perfectionism is almost OCD but he does not have OCD in terms of his creativity and risk taking characters. Narcissist often experienced narcissistic injury in childhood. No doubt, Jobs fits this category. When discussing autism and early narcissistic injury, McDowell (2004) thinks that, aside of genetic factor and other factors, the failure of the infant to acquire, or retain, the image of the mother's eyes plays the important role. Did Steve Jobs had the chance to see his biological mother’s eyes? How his adoptive mother Clara Jobs look at him, hold him, feed him? How Clara comfort and encourage him? We have no clue. Steve Jobs said that he had a good childhood, but he almost never mentioned his mother (except his sensitivity at his mother’s death), he mentioned a few times of his father Paul Jobs. John Bowlby (1969) recognized the tie between the infant and his caregiver (often the mother) affects the attachment style in the rest of the infant’s life (even though modification or change of attachment style may happen). If the mother is warm, caring, and attentive to the infant’s needs, secure attachment style may result (attachment style is also affected by other factors e.g. genetic hereditary and environment stress). Otherwise, the attachment will be insecure. The insecure attachment styles include anxious–preoccupied, dismissive–avoidant, fearful–avoidant. 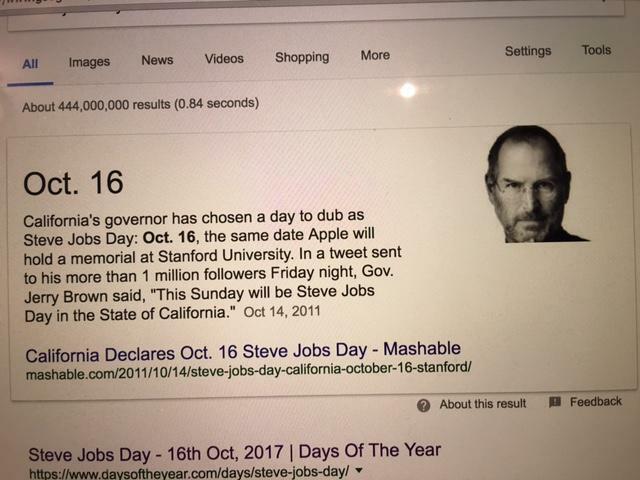 Steve Jobs seems can form the close relationship with others, he has good friends from childhood/adolescence, had several ex-girlfriends (would he if he were not so wealthy and famous? ), got married, and has good relationships with his wife and children. However, he also unconsciously pushed people away by frequent anger outbursts. He seems also had difficulty to empathize how other people would be impacted by his angry outburst. It seems that he is not happy deep down. Steve Jobs forgave his parents for putting him for adoption. However, he did not forgive his biological father abandoned his biological sister Mona. He visited his biological mother from time to time but refused to reconnect his biological father even though he also lived in the Silicon Valley. However, he unconsciously identified with his biological father by abandoning his daughter Lisa for many years. This way he became his father, the father that he had always been longing for. His relationship with his adopt father seemed good, he is a handy man and supported Jobs to develop his interest and kept his promise of sending him to the college. However, there is no much description of his relationship with his adopt parents in his biography (Isaacson, 2011), as mentioned above, his adopt father is not the one that he could identify with and look up to. He also constantly to look for a father that he could look up to and repeated the fate of being abandoned by them one by one. He found a spiritual guru in India and trusted him; however, his guru symbolically abandoned him by the failing of the diet therapy of his cancer, which directly led to his death. Apple CEOs Mike Scott and John Sculley are also his father figures. “Father” John Sculley was Steve Jobs’ symbolic father. He and the board of Apple abandoned him badly. Is his anger the anger to his father/parents’ abandonment? The way of his expression of anger is actually quite infantile like—quick explosions without considering the consequences. His rage, the baby tantrum style, also tells us, without a father, he never become a grownup man (emotionally), he was stuck at the paranoid-schizoid positon. 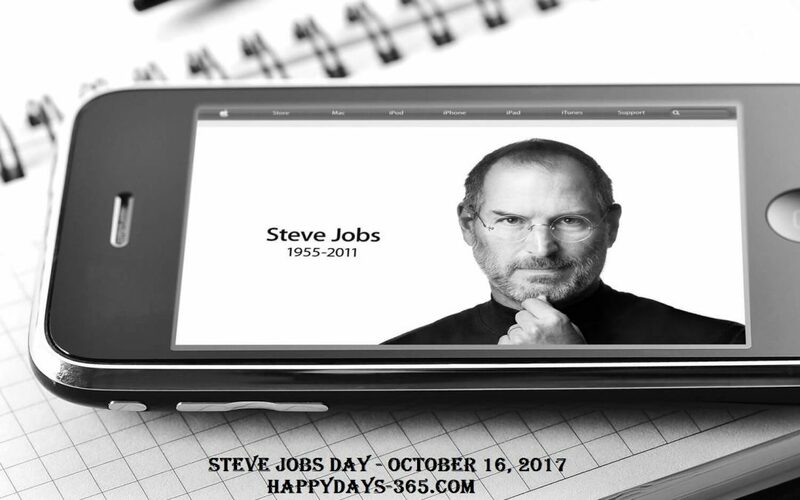 Steve Jobs indeed contribute to this world a lot; Apple products have largely affected the life style of modern people. When he tried so hard to produce the so beautiful and perfect products, whose eyes were staring at him in his mind? He is a perfectionist but he is not perfect. However, he is a legend, indeed. Berk, L. E. (2014). Development through the lifespan (6th ed.). Upper Saddle River, NJ: Pearson. Erikson, E. H. &. Erikson, J. M. (1998), The Life Cycle Completed: Extended Version. W. W. Norton. Isaacson, W. (2011). Steve Jobs. New York, NY: Simon & Schuster. McDowell, M. J. (2004). Autism, early narcissistic injury and self-organization: A role for the image of the mother's eyes? The Journal of Analytical Psychology, 49(4), 495-519.